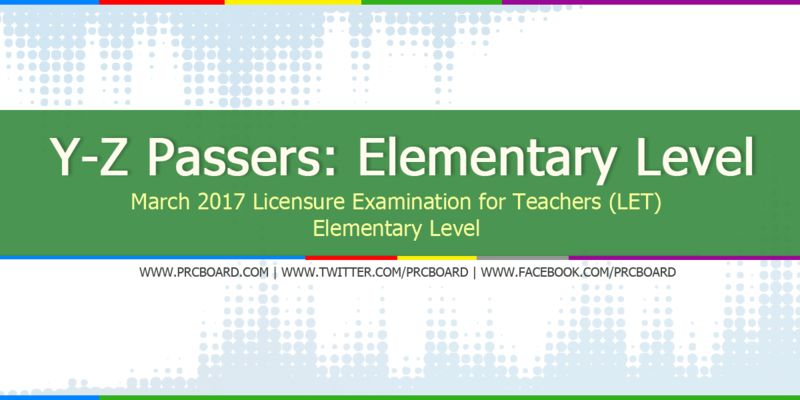 MANILA, Philippines - The official results, list of passers, top examinees, performance of schools and other important announcements for March 2017 Board Licensure Exam for Teachers (LET) both for elementary and secondary levels are released by the Professional Regulation Commission (PRC) 40 working days after the last day of board examination. Below is the list of passers for March 2017 LET (Elementary level) with surnames starting with letter Y to Z.
Lord God Ipinauubaya napo namin sainyo ang lahat. Kayo napo ang bahala ..